Park and slide - a new way to get from A to B? 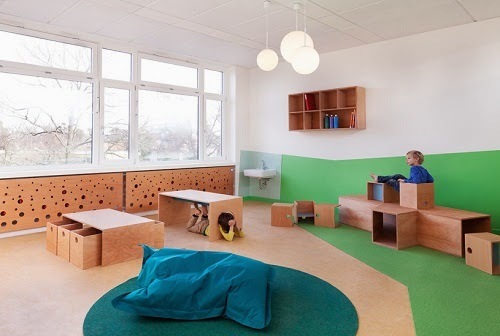 I love the work of Baukind (read previous post here), who source sites in Berlin and then work to transform them into vibrant and "kids friendly" early childhood spaces. This is the latest of their growing themed and colourful portfolio. The unique custom-design "critters" encourage the children to interact with the space and move freely around the kindergarten. Kita Sinneswandel (or 'Change of Heart') takes its inspiration from the tree - as a symbol of growth and development. Each space metaphorically employing aspects of the tree for inhabitation and play. 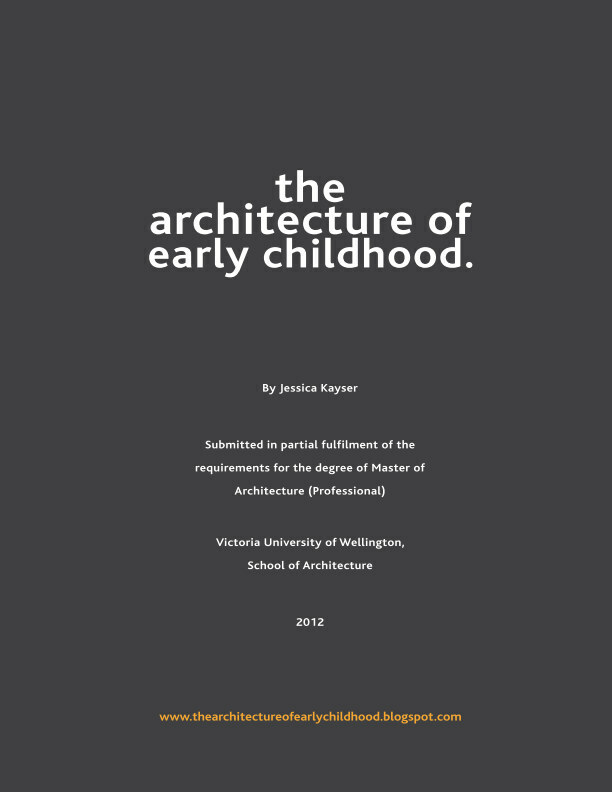 The carefully considered colour palette giving the kindergarten a unique identity. Baukind with Atelier Perela designed a colour concept and animal characters that correspond to and live around trees. Baukind collaborated with visual designers Atelier Perela to create their animal characters. The area that depicts the root of the tree (and uses warm, earthy red, brown and violet colours) is dedicated to young kids between one and three years. Seen above the 1-3 years area, the "roots" of the tree. Ramps are integrated with storage and irregular and moveable blocks become a landscape for physical play. Soft mats, carpet, cushions and soft cylinders further encourage floor play. The first floor resembling the trunk of the tree uses multifunctional furniture to encourage active play and exploration. The cube may become tables, chairs, storage boxes or building blocks. Uplifting greens and blues on the second floor represent the crown of the tree. All of the spaces in Kita Sinneswandel utilise movable furniture modules - serving both functional and playful functions. Surfaces are "activated" with textured feature walls (brick), graphic murals, or blackboard for creative expression. 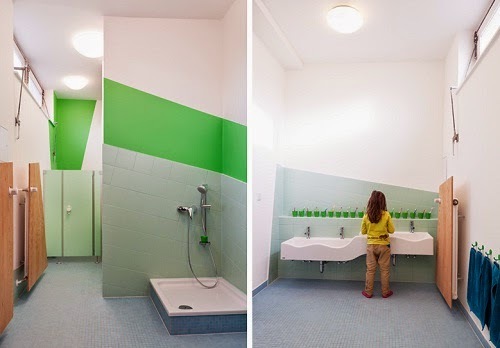 Bathrooms are designed with the scale of the child in mind. The sinks tapering down for the smallest children. 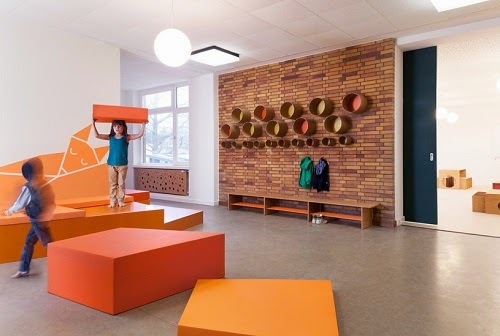 Carefully selected materials and colour are used to blur the boundaries of space (stretching over walls, floors and furniture), thus creating a space for adventure and play.